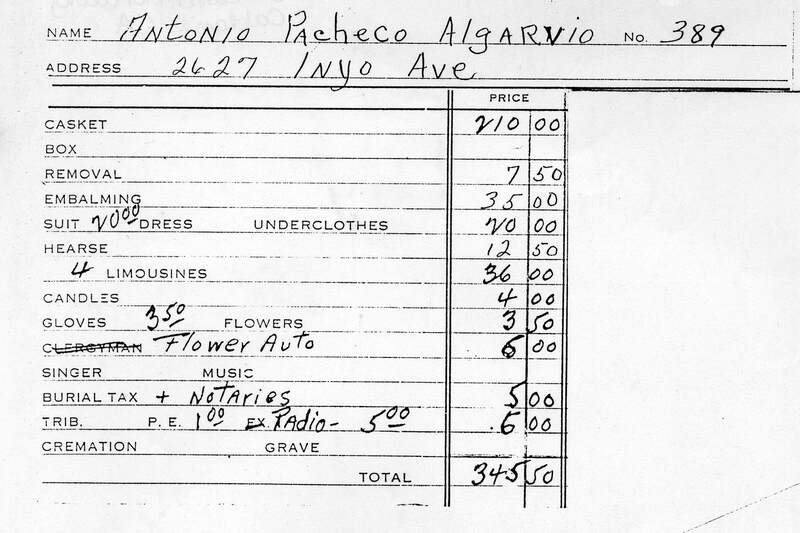 How much did a funeral cost in 1932? This funeral took place in Oakland, California. The total cost of the funeral was $345.50. I’ve never had to pay for a funeral, so I’m not sure what everything cost. I looked up the cost of caskets just for comparison. Average for the cheapest casket you can find will be about $2,500. To us $345.50 doesn’t sound like much. My Dad’s newspaper obituary in 2010 probably cost as much. But, to our ancestors living in 1932 during the Depression, that was a lot of money. I was trying to find a calculator that would show me how much $345.50 would be today. The best I could come up with was this utility that is a little more complicated than I was looking for. According to this calculator, $345.50 in 1932 is roughly equal to $4920.00 today. While we think that things were cheaper in the “good old days”, once you calculate wages earned which were much lower, and compare that to today, it doesn’t sound like that much of a deal, does it?